There are two now two issues with BCM: Missing Chart Controls and Missing Home Page tab. The issue with the Home Page tab began with the Outlook update released on October 10, 2017. This security update removed the Home Page tab from all folders, in an effort to increase security. Plus, it's a little used feature... but many add-ins, such as BCM, use it. Business Contact Manager for Outlook could not complete your last action or action. Please try again. The fix: add a registry key to re-enable home pages. Remember: if a registry key doesn't exist, you'll need to create it! Relevant KB articles are Outlook 2013: KB4011178; Outlook 2010 is KB4011196. Several users are having issues with Outlook and Business Contact Manager (BCM) after upgrading to Windows 10. It may also crash after installing Windows 10 updates. Outlook loads fine but when you click on "Contact Management", Outlook quits and you get an error message stating: Microsoft Outlook has stopped working. A problem caused the program to stop working correctly. Windows will close the program and notify you if a solution is available. This issue started right after installing 10. I uninstalled and reinstalled BCM but that didn't do the trick. Uninstall Microsoft Chart Controls for Microsoft .Net Framework 3.5 from the control panel. If, after installing Windows Updates, BCM crashes when you select Business Contact Manager in the Folder list or bar but not when you select a contact folder on the People pane repeat the steps above to reinstall the chart control. If BCM works for a little bit then crashes, go to File, Options, Add-ins and check the BCM add-ins. The "Business Contact Manager for Outlook" add-in should be enabled but the "Business Contact Manager Loader for Outlook" add-in should remain disabled. If you can't get into Outlook, you can make the change in the registry. Check the load behavior of the BCM add-in in the registry and set it to 3. Thank you so much for this post. I have been depressed for over a month. I did too many things like creating a Win7 VM for my Office 2010 and BCM2010. I just found out that after latest updates Win7 has the exact same issues. On a fresh google search, I found this post. For me, the home page and chart controls brought BCM 2010 to life. For as long as you have had this blog, you have been a great service to people like me. You are the best outlook expert I know. 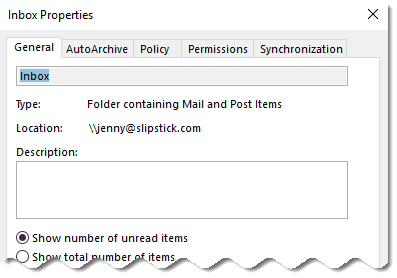 update on forms resetting to default outlook forms. I was able to restore my system to an earlier date. one of the following updates must have been the cause of changing the default forms. these were the updates applied right after my BCM issues occured. restoring my PC to the day before (thank goodness there was a restore point) removed these updates and BCM is once again working correctly. I have disabled automatic updates for the time being, hoping that someone can pinpoint exactly what changed and how to fix it. The company i work for will not let me keep updates off for long. They are two flash and two windows updates. I'm thinking its kb4048953 (but i could be wrong.) Try installing them one at a time and seeing if the problem recurs. I'll see if i can repro. Hi, I have BCM running with Outlook 2013 on a windows 10 machine. twice now I have had it running just fine but all of a sudden something changes with the forms. The BCM forms seem to reset to standard outlook forms. Accounts, Business contacts, Opportunities all revert standard forms. The first time this happened I had to reimage the drive to reinstall from scratch. everything was working fine then all of a sudden the forms reset to "standard"
Kurt's solution above worked for me too. Thanks Kurt! Hi, i'm still getting the issue with "Business Contact Manager for Outlook could not complete your last action or action. Please try again"
This occurs when we are trying to run the reports. Is the data base installed locally or on a shared computer? This is the key you set? As far as I know 1 or 2 has the same effect. The database is remotely accessed via a server. Everything was OK until the latest Windows update. And now that we've passed the 30 day rollback period - it appears we may have to perform drastic action and reload an earlier version of windows. We've also tried repairing MS Office 2010, re-installing BCM and we're not having much luck here either. From what we can tell everything except the 'reports' are failing and our guys use this on a regular basis. We know the key is working as we can see the home tab re-appear (also tried the "do it for me") but still the reports fail. [E] [11:08:46.1202762]BCMRes: Could not load file or assembly 'System.Windows.Forms.DataVisualization, Version=3.5.0.0, Culture=neutral, PublicKeyToken=31bf3856ad364e35' or one of its dependencies. The system cannot find the file specified. Solution was to re-install Microsoft Chart Controls for Microsoft .NET Framework 3.5. The error wasn't related to the below comment, but I gave it ago anyway and its working again!! Many thanks. Hi, recently we've updated our windows 10 (160 Anniversary Update) to Version 1703 (Creators Update). We use office 2013 with the Update for Business Contact Manager (BCM 2013) in your other post. Because the 4.x versions of the .NET Framework are in-place updates, you cannot install an earlier version of the .NET Framework 4.x on a system with that already has a later version installed. For example, on a system with Windows 10 Creators Update, you cannot install the .NET Framework 4.6.2, since the .NET Framework 4.7 is preinstalled with the operating system. Is there a solution available? Thanks in advance. You get that when you install just the chart controls? Yes, I have installed the Microsoft Chart Controls for Microsoft .NET Framework 3.5. The installation is successful. But when I start Outlook/BCM it fails with the message that the charts are missing. When I look after the successful installation in the installed apps/programs under configuration I can't find it either. So the charts .net 3.5 are successfully installed but they don’t show up under the installed apps/programs. It only occurs on Windows 10 Version 1703 (Creators Update). Tried Andre solution and I disabled the Business Contact Manager Loader for Outlook and it also automatically disabled the Business Contact Manager. I have tried as I may, but when I recheck both, it does not allow me to again connect to Business Contact Manager Database. The Enable is up on the business Contact Manager Page and when I try to connect to an existing database or create a new one, it just blows up. When I create a new database, it just blows up again and goes to a page both times that says "Business Contact Manager Encountered an Error during Setup. Now not only can I not connect my remote computer, I have lost all access to my database.